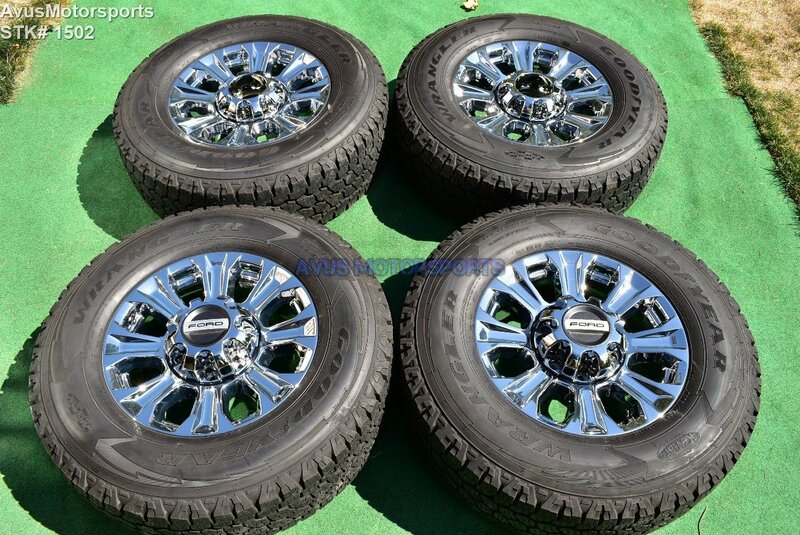 This auction is for set of (4) authentic 2017 Ford F250 Super Duty 18" chrome PVD factory wheels and Goodyear Wrangler All-Terrain Adventure LT275/70r18 tires. These wheels and tires were taken off an 2017 Ford F250 with less than 3000 miles, they are in like new condition, but do expect there might be some minor blemishes like all take off wheels would. Please review all pics!